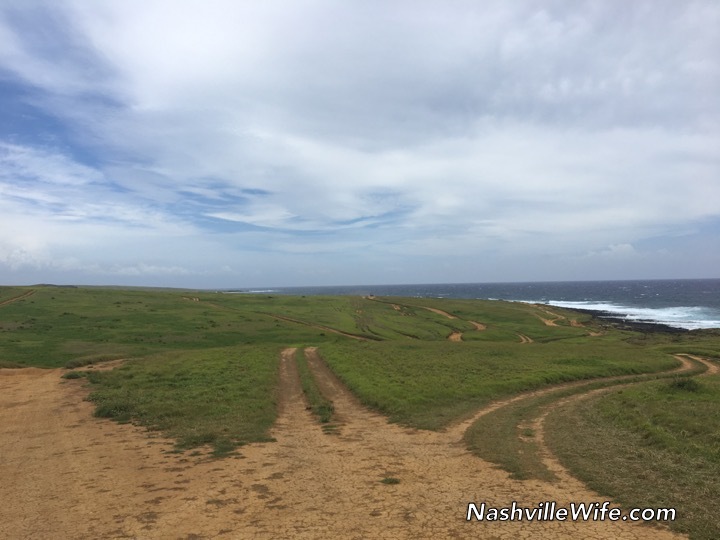 Located near South Point is a beach, but not just any old beach. 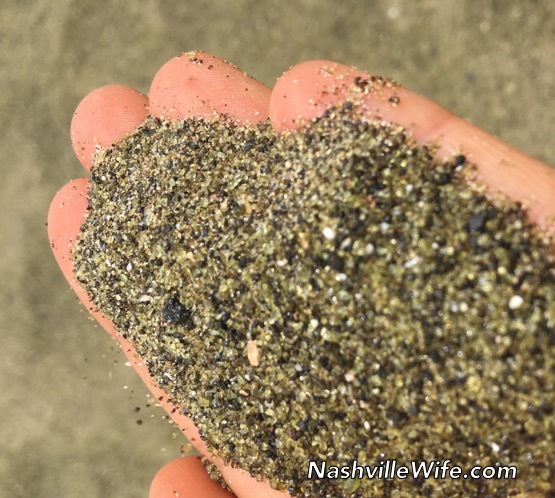 This beach has green sand! The mineral responsible for the color is olivine. Apparently it is one of only four green sand beaches in the entire world. 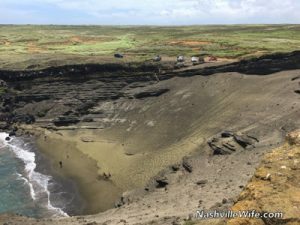 The only way to access Green Sand Beach (also called Papakolea Beach or Mahana Beach) is by hiking or driving a five-mile-round-trip road. There are actually multiple roads that intersect throughout the drive. Some routes are impassible, so choosing the right one can be a challenge. Our rental car was 4WD, so Mr. Handsome drove us all the way to the beach, and boy was it a nail bitter! More on that later. Before determining whether is was safe, we spoke with locals and other tourists who had made the drive. If you haven’t seen pictures of the beach, be prepared to be shocked. You can’t see it until you reach the parking lot and look down. It really is an incredible sight to behold. The beach is located in a c-shaped cove and runs down the side of a cliff. It’s steep, but walking down to the water isn’t too difficult. For most of the way, there is a path worn into the side of the cliff. We walked down to the beach to admire the unique sand. 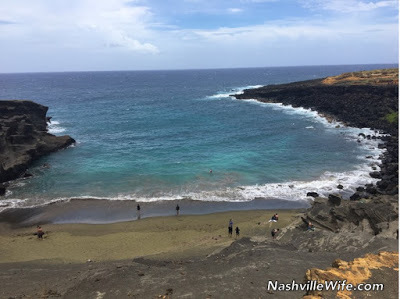 One thing we did not do at Green Sand Beach was go swimming. The waters surrounding South Point have been forever infamous for their extreme turbulence, even by the ancient Hawaiians, who reportedly tied their canoes to the cliff before going out to fish. The currents flow uninterrupted all the way to Antarctica, so getting pulled out to sea wouldn’t be ideal. We did, however, enjoy walking along the beach and dipping our feet in the water. The wind was fierce (sunglasses were a must to keep the sand out of our eyes) so we only ended up staying a short time. We survived the drive back, which boosted my confidence in Mr. Handsome’s newly-acquired 4WD skills. He did an incredible job! Below is a video that Mr. Handsome and I filmed at the beach to give you a better view (and a better understanding of just how windy it was!). After our stop at Green Sand Beach, we continued on to Hawaii Volcanoes National Park, where we saw an active lava lake on the inside of Halemaʻumaʻu Crater. Sounds like you and you husband had a wonderful adventure. I have never been to Hawaii but I can say that I have been to the easternmost point of the United States…Lubec, Maine! My husband and I went there for our honeymoon and had a wonderful time enjoying coastal Maine. I love lighthouses and my husband was sweet enough to make sure we saw many during our honeymoon adventure! Maine is a state I have always wanted to visit. I'm sure it was beautiful! How long have you been married, Shelley? Wow! What's the story behind that? Were you just friends for 23 years? Thank You for sharing your trip to Green Sand Beach. The photos are gorgeous. Thank you, ladies. Glad you enjoyed the photos. 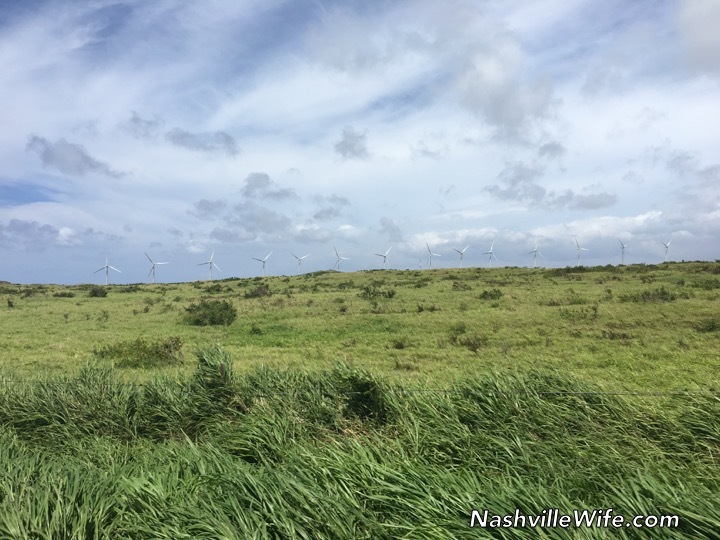 Thanks for sharing about your adventures and your photos from Hawaii. You and Mr. Handsome have been to some wonderful places. I would love to see Hawaii some day. Did you see some of the beautiful waterfalls and rainbows that are common to the island? Just wondering if you can explain some of your moments of terror! The one picture of you holding up the green sand made me think of the Little House episode where Laura and her friend found the fools gold in the creek. That was one of my favorite episodes. Thanks for sharing, it's fun to see the live videos as well! We did see several waterfalls, and there was a huge one that required an 18-mile hike, so we passed on it. No rainbows though. The road was filled with ruts, so there were a few spots where I was concerned we were going to flip over, although Mr. Handsome assured me we were nowhere close to doing that. LOL. It was also hard to know which route to take. We received some advice, but at some crossroads we kind of had to guess. And then on the way back, we ended up on the wrong route and had to backtrack. But Mr. Handsome did great, and there were tons of other people driving the road, so we didn't risk our lives or anything. Haha. What a lovely vacation you two had. The pictures are just gorgeous. Thank you for sharing with us. My pleasure, Regina. I have missed your comments on my Duggar blog. You always brought such positive words! I’m so glad you got to go on a tropical vacation. I’ve never been to the big island, but I have been to Kauai, Maui, and Molokai. As I understand it, each island is truly unique, and hopefully I’ll get to see more of them. 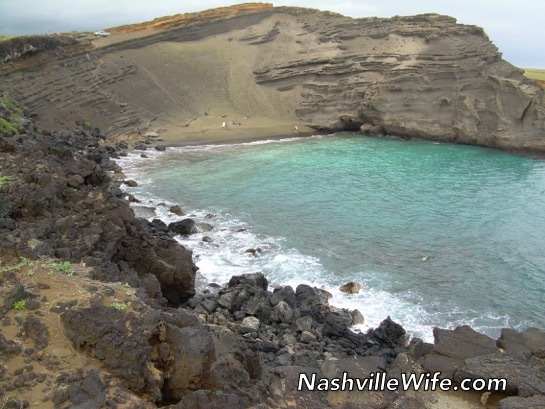 That green sand beach is almost surreal. Olivine is the word geologists use for what gemologists call peridot. What a sight that beach must have been. Every time I’m on a trip that requires significant time in transit, I think about the kind of time traveling that distance would have entailed 200 years ago. I find the comparison more amazing than comforting, but I still like to think about it. I was on a nonstop flight from Johannesburg, South Africa to Atlanta with a flight time of just under 19 hours. The pilot told us it was the world’s longest non stop flight. It was an intense experience. I’m looking forward to hearing more about your trip, and I wish you many more travels in the years to come. It's really neat how different each island is. And then there are a couple private islands where you need an invitation to visit. 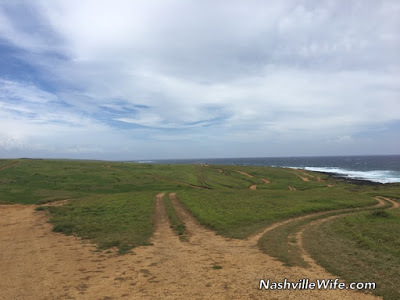 What were the highlights on the islands you have been to? I know, travel 200 years ago would have been tough. While we were at the Volcano National Park, we learned that Mark Twain and other "celebrities" of the time visited the volcano. What a trip that would have been! And then thinking about the early Hawaiians who traveled the ocean on canoes. They sure were brave! I don't think I could have done it. Oh wow, what a cool beach! 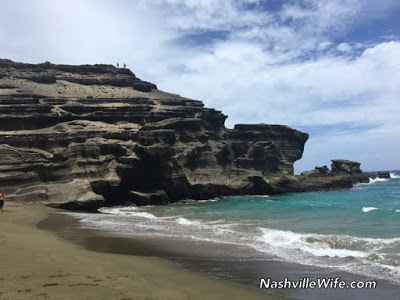 I had no idea there was green sand. Fascinating. I know, it was a sight to see, for sure. 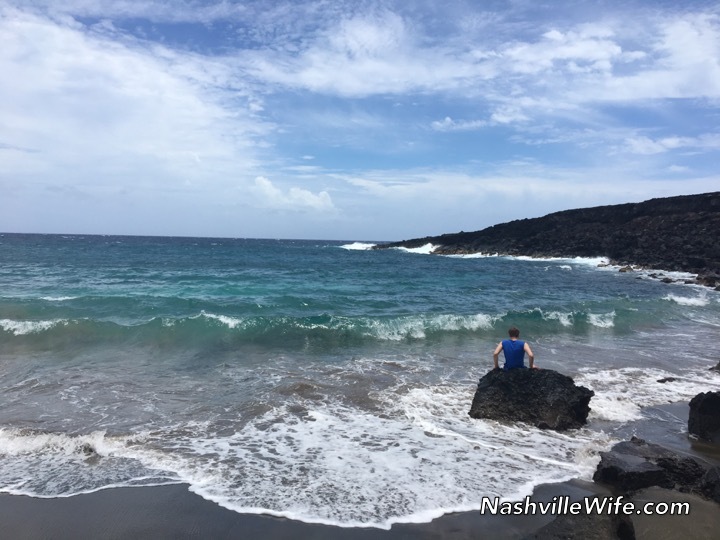 Thank you Ellie for the wonderful pictures of your vacation with your husband! 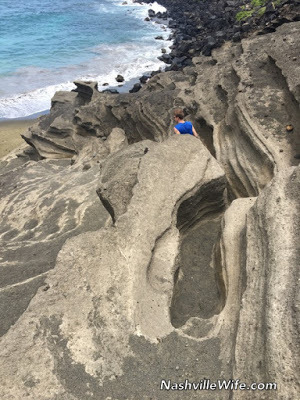 I've never been to Hawaii so it's great to see pics, thanks again! It's my pleasure! Glad you enjoyed the photos. How exciting! I didn't notice the blogging-break, mainly because I was away on a trip myself. Thanks for sharing. Wow; green sand is real! And on my trip I kept saying "this is real" too. Email me if you want to hear more. Just sent you an email. I would love to hear about your trip. HEY ELLIE!!! When I was in Hawaii, I went to a beach, were there was a black sanded beach, and it was amazing!!!!! Hawaii, the land of a million different coloured beaches!!!!!! We saw some black sand beaches, as well. Lots of variation, for sure! What island did you go to? Hey Ellie, the black sanded beach is in Maui, and is place is called Walanapanapa!! We went in 1983, and I still remember it!!!!!!!!! Sounds like a lot of fun, Justine! Ellie, this is way off subject, but can you give us an update about your book you were writing? Of course. It has been quite the project, and I haven't had very much time to work on it recently, due to my furniture project. Hoping to get back at it soon. Thanks for asking! Hi Ellie, just wondered if there's big news coming on Duggar blog? Usually it's more updated and since it stoped at Wednesday posting I wondered if your delay was because of any bigger news coming with them? Thank you! I have never been to Hawaii but my sister's have and my sister brought me a hawaii keychain that said my name in Hawaii! Thank for sharing the pictures they are beautiful. I loved the green sand. Glad you enjoyed the photos. I've seen those keychains! They're very popular. I've heard it's illegal to take sand from Hawaii. They highly enforce it with black sand and lava rocks, although I'm not sure about the green sand. I agree, though, it would be nice to have some as a keepsake. We were there for about 9 days. What part of Florida did you visit? Lovely, thanks for sharing the pics. 🙂 Would love to visit Hawaii one day. It's my pleasure, Moon Sparkle. I highly recommend it.